The Katla central volcano, covered by the fourth largest Icelandic glacier Mýrdalsjökull, is among the most dangerous and active volcanoes in Iceland. Due to the ice cover, several indicators of its volcanic activity can only be identified indirectly. We analysed a total of 30 synthetic aperture radar (SAR) images with special focus on identifying circular and linear depressions in the glacier surface. Such features are indicative of sub-glacial geothermal heat sources and the adjacent sub-glacial tunnel (melt water drainage) system. The time series comprises images from five different SAR sensors (ERS-1, ERS-2, JERS-1/SAR, RADARSAT and ENVISAT-ASAR) covering a time period of 12 years, starting in 1994. Individual SAR scenes only partly map the glacier surface morphology due to the environmental influences on the SAR backscatter intensity. Thus, only surface features detectable in several SAR scenes at the same location were considered and merged to form an overall picture of the surface morphology of Mýrdalsjökull and its modification by sub-glacial volcanic activity between 1994 and 2006. Twenty permanent and 4 semi-permanent ice cauldrons could be identified on the surface of Mýrdalsjökull indicating geothermally active areas in the underlying caldera. An analysis of their size was not possible due to the indistinct outline in the SAR images. 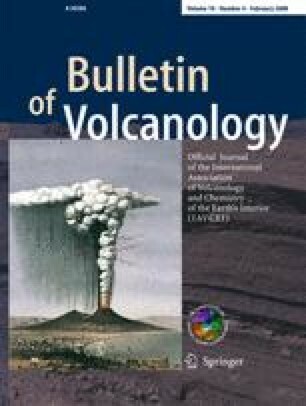 The spatial distribution of the geothermally active areas led to a new, piecemeal caldera model of Katla volcano. All cauldrons are connected to tunnel systems for melt water drainage. More than 100 km of the sub-glacial drainage system could be identified under the Mýrdalsjökull in the SAR time series. It has been found that the tunnel systems are not in agreement with estimated water divides. Our results allow improved assessment of areas of potential Jökulhlaup hazard accompanying a sub-glacial eruption. We would like to thank ESA, NASDA and CSA for the provision of the SAR data in the course of the following projects: ENVISAT ID 142, ESA; ERS AO.2 D116, ESA; JERS-1 ID J-0410, NASDA; RADARSAT ADRO #517, CSA. This research was made possible by the Bavarian Research Foundation (DPA 37/04). Sincere thanks are given to this institution. This paper was improved substantially following the comments of the reviewers P. Mouginis-Mark and H. Björnsson.